Cardamom is perhaps one of my most favourite spices especially if I am looking to lift flavours in a particular dish. Here I list the many benefits and uses of Green Cardamom for everyday cooking. Green Cardamom is one of the most expensive spices in the world, next to saffron. It’s a very common spice, used extensively in Indian, Middle Eastern and Scandinavian countries. There are three different kinds of Cardamom, Green Cardamom. Black Cardamom and Madagascar Cardamom. Each pod contains small black seeds in a row which can be removed and ground to powder. A whole cardamom pod is also used to add flavour to oil, stews and other dishes. It originates in Southern India, however, is now popularly grown in Sri Lanka, Tanzania, Guatemala to name a few countries. Green cardamom has a semi-mild to strong flavour which can become more robust if used in larger quantity. Cardamom is an aromatic spice and does more than just flavouring. You can smell and taste the spice when added to a dish. It has a very fresh citrusy undertone with hints of eucalyptus. It has a strong, unique spicy-sweet taste which instantly lifts the flavour of the dishes it is used in. 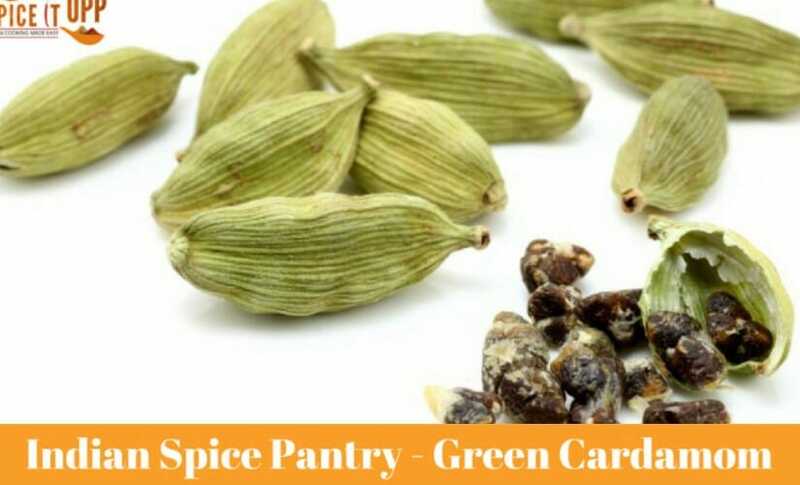 Green Cardamoms can be used either whole or powdered. You can either split open the pods to expose the seeds and use it for cooking or use it whole with the seeds intact or only the seeds. Use a mortar and pestle or a good spice grinder to ground it into powder. The neutral flavoured green papery cover grinds well too, so I do not bother discarding it but use the whole pod and grind it into powder. It adds to the aroma of the dish. Whole cloves are added right at the beginning of cooking while the powdered version can be used during or at the end of cooking. Whole cloves can be removed just before serving. 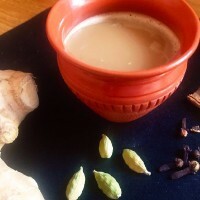 Use cloves for making curries, rice dishes, broths, stews, even in drinks and desserts. Like most spices adding them does not alone add flavour but has other health benefits too. I have highlighted the top benefits of using Green Cardamom to everyday cooking, but there are many more advantages. Cardamom is good for curing stomach problems like indigestion, gas and constipation. The strong aroma enables the secretion of enzymes effective for digestion especially if consumed after heavy meals. Munching on cardamom helps fights bacteria that cause bad breath. The strong floral sweet aroma of green cardamon is a natural breath freshener. Green cardamom has diuretic properties. It helps clean out the urinary tract, bladder, and kidneys, removing waste, salt, excess water and toxins from the body. Green cardamom is a fibrous spice. It helps boosts energy metabolism and burn more body fat efficiently. You can buy green Cardamon from any supermarket as it has become a very popular spice. I would recommend buying the spice whole and use a mortar and pestle to ground it into powder when needed. Look for small and bright green cardamoms. They have a fresh and stronger flavour compared to the pale once. Since it is an aromatic spice it needs to be well stored in an airtight container away from light and heat. If stored correctly green cardamoms will retain its properties for almost a year. Cardamom is a sweet spice which means that it combines well with almost any spice. Being an aromatic spice, it can be substituted with other aromatic spices such as cinnamon, cloves, or even kafir lime leaves. I love green cardamons, love to take in tea, sweets and all sweet food items. OooOOO I like this, I’ve been wanting to try new foods whenever we go to specialty marts! Ill have to try this out!